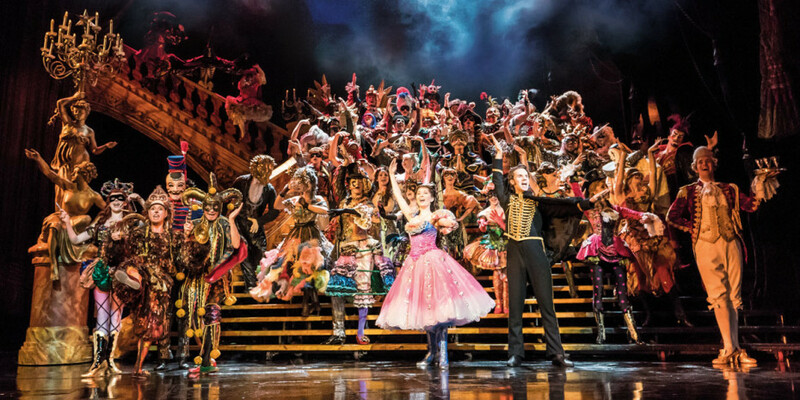 Enjoyed by over 140 million people worldwide and winner of 70 major international theatre awards, The Phantom Of The Opera is a mesmerising show that’s been enchanting audiences for 32 years. But are the charms still masked from you? Andrew Lloyd Webber’s iconic musical is based on Gaston Leroux’s gothic novel of the same name. After seeing Ken Hill’s 1976 operatic adaptation of The Phantom of the Opera, Andrew Lloyd Webber and theatre producer Cameron Mackintosh were so impressed they wanted to bring the show to London. However, despite efforts, Hill’s production didn’t make it to London. Instead, Andrew Lloyd Webber found a copy of the novel found there was a lot more to the story. Pairing up with Charles Hart and Richard Stilgoe, Lloyd Webber wrote the legendary musical which opened in London’s West End in 1986, opening on Broadway two years later in 1988. Michael Crawford and Sarah Brightman originated the leading roles of The Phantom and Christine in both the West End and Broadway productions. Crawford won multiple awards for his performances. And The Phantom of the Opera itself won three Oliviers and seven Tonys – including Best New Musical and Best Musical respectively. The show was so popular and so successful, a sequel was created called Love Never Dies. However, it could not outshine the original and closed after just 17 months. The tragic love story has played in 35 countries and 160 cities. The Phantom of the Opera has been performed in 15 languages and was the first musical to gross over $6 billion. The Phantom Of The Opera takes place in the decadent Paris Opera House where the Phantom – a man ashamed of his physical appearance – hides from the real world in the darkness of the theatre. Haunting the opera house and feared by all, he manipulates the actors and crew. When a young chorus girl, Christine Daaé, rises to leading lady, the Phantom falls in love with her and helps her become a star. The shadowy figure enchants his beautiful protégée with his voice and eventually grows to love her so much, he kidnaps her and asks her to spend her life with him in his subterranean kingdom. 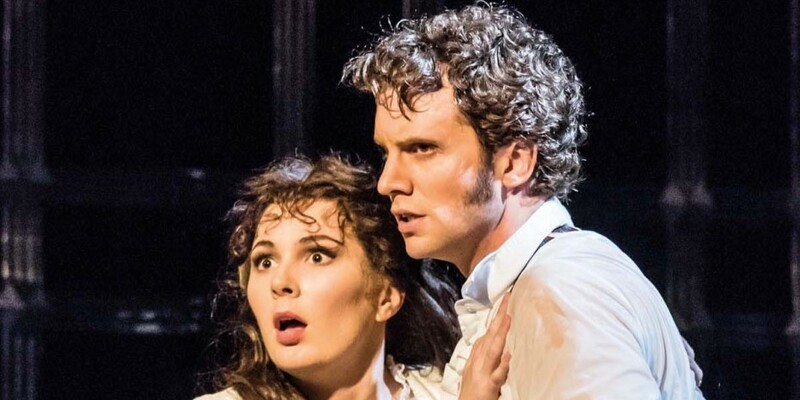 But Christine’s old friend and lover Raoul rescues her, leaving the Phantom devastated, vowing revenge. Where is The Phantom Of The Opera playing? The London production is playing at Her Majesty’s Theatre. It opened in 1986 and has remained there ever since. What age is The Phantom Of The Opera appropriate for? The Phantom of the Opera is suitable for children aged eight and over. The show is 2 hours and 30 minutes including one interval. There are performances at 7.30pm Monday to Saturday with matinees at 2.30pm on Thursdays and Saturdays. How do I get to Her Majesty’s Theatre in London? Her Majesty’s Theatre is located just 150m from Piccadilly Circus tube station. You can also get to Her Majesty’s Theatre via overground train from London Charing Cross station which is 650m away. Where did Phantom originally open? Andrew Lloyd Webber’s version of The Phantom Of The Opera opened at Her Majesty’s Theatre in September 1986. 32 years later, it’s still calling Her Majesty’s Theatre home making it West End’s second longest-running show after Les Miserables. The Phantom of the Opera opened on Broadway in 1986 and is still playing today. It’s the longest-running musical in Broadway history. Will The Phantom Of The Opera be touring? The Phantom Of The Opera isn’t currently touring the UK. The only place you can see it is at Her Majesty’s Theatre in the West End. Will I like The Phantom Of The Opera? Dubbed “London’s greatest love story”, the awe-inspiring musical isn’t just a harrowing tale set to an incredible score. It’s a visual masterpiece. Each performance has 230 costumes and the replica chandelier is made up of 6,000 beads. The sheer spectacle of Phantom is enough to enjoy it, let alone the story of passion, desire, seduction of betrayal. Right here with us! Just visit Official London Theatre’s The Phantom Of The Opera ticket page to find the best available tickets for great prices.